The holiday season will be here, and for some of us, this can be a stressful time of the year. If you are having financial struggles, and you are worried about your finances during the holiday season, I am here to help you. Here are 8 things you shouldn’t waste money on if you are struggling financially this holiday season. Christmas is a wonderful time of the year, and it could also be a hard time for others. When you are struggling financially, Christmas can be one of the most stressful periods of the year. When you have no control of your finances, Christmas is going to be one of the toughest periods of the year not only financially but emotionally. The good news, and yes there is good news about this situation is that you can change this. You can avoid having such a financially stressful time during the holiday season; there are a few things you shouldn't waste your money on during this time of the year. As much as this may sound harsh, spending money on things you might think are OK during the holiday season will lead you to more financial stress. You have to be honest with yourself and your family and take responsibility for your finances. 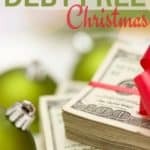 You don’t have to create more stress nor more debt during the holiday season; for this and many others reasons, wasting your hard earned money on these things is not the right thing to do. Taking responsibility and accepting that you have you some financial issues, or that your finances will prevent you from overspending this upcoming holiday season, is the right thing to do. 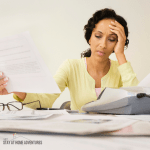 Continuing to ignore your financial situation during the holiday season could result in more financial stress. If you are planning on taking care of your finances and be more careful with your spending this Christmas, I have a few tips on things you shouldn’t waste your money on this holiday season. Also, remember that you can have a wonderful Christmas if you concentrate and focus on what is important to you and your family. I know for sure that gifts and material things are not what matters to you. 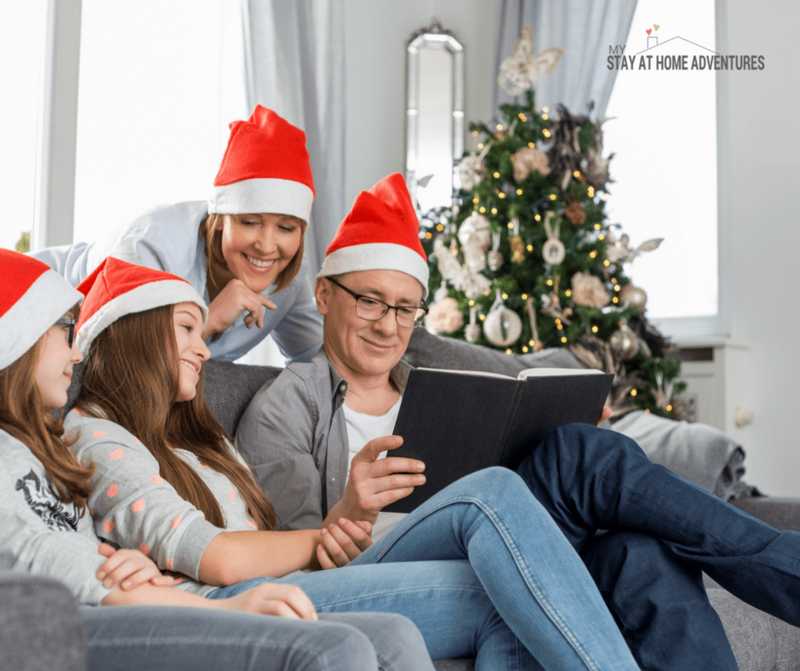 Creating memories without the financial stress is what many people want to accomplish during the holiday season. Some of you might not agree with this, but if you are struggling financially and you have a big family and a big list of friends, don’t buy Christmas cards. The price for Christmas cards can add up. Think about it this way, who keeps every Christmas card they receive? Christmas cards can create clutter and yes, the majority of the time they are thrown out. If you feel that important about letting someone know that you wish them a Merry Christmas, then use your own paper and writing utensil and let them know. 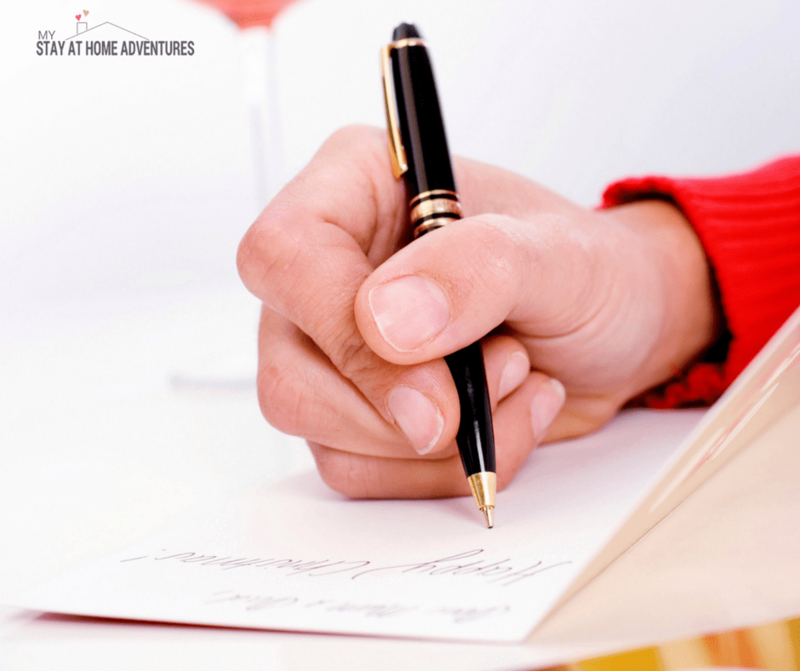 You will be surprised how much more meaningful a handwritten note means to someone than an already printed Christmas card with just a signature. Send them a heartwarming email or e-card for the holidays. For those who say you can buy them at the dollar store; yes you can but, again, you have to ask yourself why you are giving them out. Is it because you want to, or because you think the person is going to hold on to it forever? If you have financial struggles this holiday season, finding and cutting down on expenses is key to success when it comes to keeping up with your finances. If you have wrapping paper from a birthday or other yearly celebrations, why not use it? I remember one year buying a particular color Christmas wrapping paper to match my living room Christmas decorations and Christmas tree decorations. Yes, that was me, and I didn’t think it was a big deal. I also was living paycheck to paycheck and not managing my money well. I wasted money on wrapping papers; I threw away the paper as well all because I wanted my home to look good. 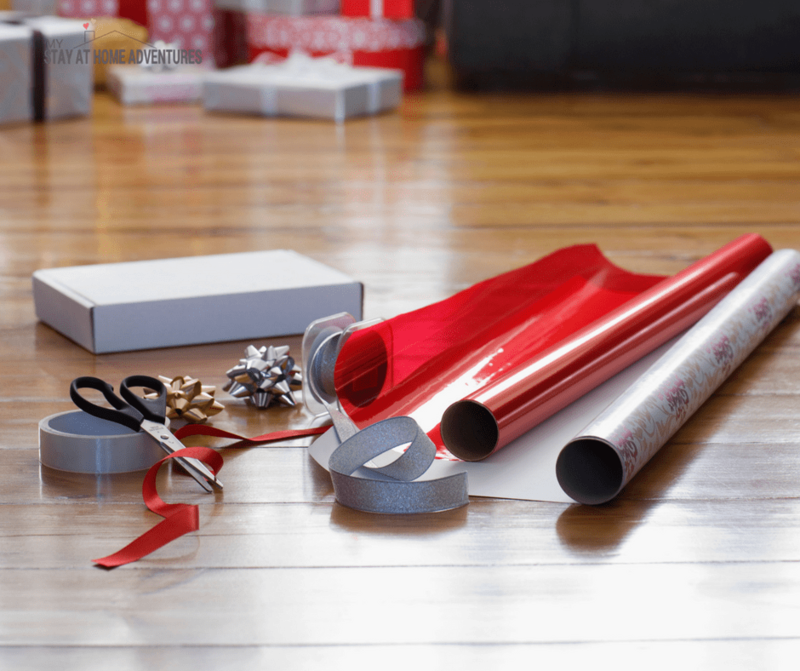 Overbuying on wrapping paper can affect you financially and it also creates waste. Reuse what wrapping paper you have and use left-over bags or paper bags to create a unique look. As a former retail manager, I can tell you that people love to spend money during the holiday season and they spend money on just about anything. Stocking stuffers are not an option. I seriously couldn’t understand why people will spend so much money stuffing Christmas stockings with not just candy, but expensive things. Growing up in Puerto Rico in the 80’s, we didn’t do stockings, I learned about them in my teen years when we moved to Pennsylvania. Listen, your kids will love you no matter what. It doesn’t matter the size of the stocking, or how much stuff you purchased and put inside it. My suggestion is to keep it simple and try other alternatives for stocking stuffers. We love to decorate our home and make it look festive, but if you are struggling financially, buying Christmas decorations is not the smart thing to do. If you can’t afford it, don’t purchase it. Your home will survive not having the latest decorations believe me, and so will you. Another way you can decorate your home if you do it for free and you have to be very careful. Learn how you can decorate your home for free this Christmas. Click to download your Christmas Planner. I love gift cards! I love giving them out during Christmas time. That being said, if you can’t afford it, don’t give them out as gifts. Here’s the reason why I say don’t buy gift cards: the amount of money it cost. Yes, I know some gift cards can be bought for as little as $1.00, but the majority of gift cards are for a minimum of $25. The amount of money you will spend on gift cards, you can find other alternative gifts that are more affordable and more thoughtful. Purchasing a small amount on a gift card to a location where the amount you need for an average purchase is way more, it's not going to make the person jump out to use it. If you buy a gift card that is going to give that person something free, then chances are they will use it right away, vs. giving them a $5.00 gift card to their favorite restaurant for example. Also know that many gift cards go unused, and do you really want your card to sit in a drawer collecting dust? If you don’t know what the person likes, and you give them a gift card for a place that they don’t go to or enjoy, it isn't exactly a great gift! I remember growing up that during Christmas time, we had to purchase the entire family new outfits for the holiday season. Now if you don’t know about the Puerto Rican culture, we celebrate the holidays for over a month! We wore brand new shoes for Christmas Eve, Christmas Day, New Year's Eve, The Wise Men Day, and so on. We looked good. Everyone looked good, but it never occurred to me how much money it cost just to keep us looking nice during the holiday season. Fast-forward to my adulthood, and I carried this ‘tradition' too. We would buy new outfits for Christmas parties and holiday gatherings even if I didn’t have the funds to buy it. Here’s the reality; you don’t need brand new outfits if you can’t afford it. You can be creative and create a new look with the old outfits you have. Parents, it is OK not to take your children to get their yearly photos with Santa. If you do, many organizations and stores allow you to take your own picture with their own Santa for free. It is incredible how long the line to take your photo with Santa is and how much it cost! If you don’t have the funds, then please don’t waste your money on Santa’s Photos or yearly family portrait for the season (Especially when you can get them free at some places). During the holidays, we get invited to parties from family gathering to office parties. The cost of attending these parties can add up. You don’t have to participate in every party you are invited. You can find the most ‘frugal' party that will cost less and then go! Next, you are going to learn how to deal with financial struggles during the holiday season. We all want to give our families the biggest, best holiday we can. The only problem is we don’t always have the money for it. That’s where a lot of people struggle. They feel that the only way to create a memorable holiday is to overspend. Thankfully, that isn’t the case. However, if you do want to spend money, there are ways to deal with financial struggles during the holiday season. First things first. If you have a stockpile, the holiday season is the perfect time to live off of it. This will clear up so much money for gifts, entertaining, etc. If you’ve got a well-built stockpile, you’ll have no trouble feeding your family as well as having enough shampoo, soap, toothpaste, etc. to get you through the month of December. If you don’t have a stockpile, you should consider starting one. Buying food and supplies when they are on sale saves you so much money. During the holiday season, cut out trips to the movies and eating out. Instead, do new and fun things at home. For example, each Friday night, have a movie night and watch holiday movies. You can make some holiday treats as well. You can also make ornaments or do some other type of holiday craft on the weekends. Driving through neighborhoods and looking at Christmas lights is another inexpensive way to stay entertained. There are so many wonderful things to do at the holidays that don’t cost a lot of money. Obviously, you should have a budget. You want to budget for gifts, entertainment, food costs, etc. Have one total and then break it all down by each expense. For example, you may want to spend such and such amount on gifts and then break it down to spend a certain amount on each person. Once you have your budget in place, stick to it so that you stay on track this holiday season. Guess what. When your kids are grown, they aren’t going to remember getting the latest gaming system or an outfit they wanted. What they will remember is being in the kitchen and baking cookies with you. Fancy gifts come and go, but the real moments stick with us forever. Focus on making great memories with your kids rather than making payments to your credit card company. If you’re feeling the pinch this year, consider making homemade gifts. Boxes of homemade cookies and candies for neighbors and coworkers are a great way to save money. If you love to craft, go through your supplies and see what you have on hand. If you have an abundance of yarn, for example, consider making blankets as gifts for friends and family. Last, but not least, if you want to avoid financial struggles next holiday season, be prepared. Start shopping for the holidays ahead of time. Some people start as early as the day after Christmas. Shopping clearance sales will allow you to buy holiday gifts without breaking the bank. Whenever you have a bit of extra money, check out the clearance sections of your favorite stores. This way, you’ll have most, if not all, of the gifts you need to purchase bought before the next holiday season arrives. A lot of people face financial struggles during the holiday season. For the most part, being prepared can help ensure this doesn’t happen. However, if you find yourself in a tight spot, remember that it’s not the money you spend on your family, it’s the time you spend with your family that counts. 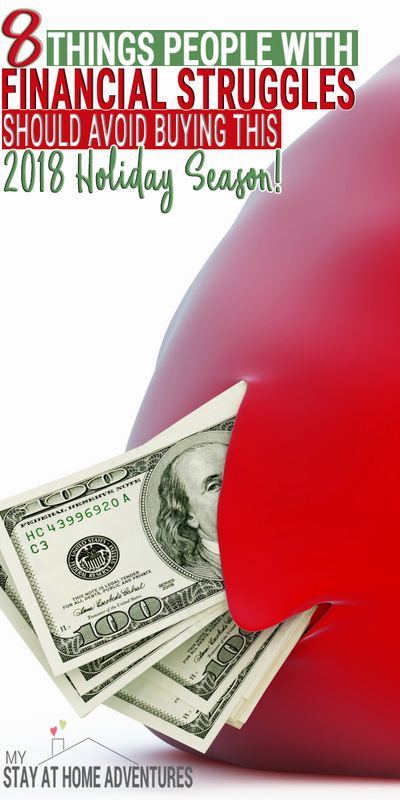 You should never let your finances foreshadow the true meaning of the holiday. Christmas time is not about impressing others and keeping up with the Joneses. If you want to enjoy your holiday season without adding stress to your finances, please avoid wasting your money on the list above. 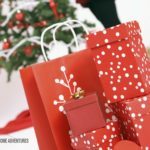 I really hope these tips will help you have a memorable Christmas! Your turn: When you have financial struggles during the holiday what do you avoid wasting money on? We stick by a very tight Christmas budget. I most of our Christmas decorations/wrapping paper are purchased after Christmas when it is 70% off. I don’t crazy either. Each person gets a “theme.” For example, my daughter has the pink wrapping paper with snowmen. My son has the green paper with large candy canes on it. That way I don’t have a bazallion rolls of wrapping paper. I also Christmas shop EARLY. For 2015 all of my gifts have been purchased and wrapped and stocking stuffers bought. I try to purchase things that I know we will use rather than those itty bitty throw aways. For example, I found Frozen UNO cards on clearance for a buck or a 100 pc dinosaur puzzle pack for a dollar. I also started shopping back in March and track every last penny to make sure we don’t go over budget. These are great tips Sarah! I love shopping the day after Christmas and I haven’t bought Christmas wrapping paper in years because one year I got lucky and found a few rolls left! Thank you for Sarah for sharing your tips. I do the same thing! I’ve been Christmas shopping all year since I was in high school. Clearance is the best! I completely agree with your thoughts on Christmas cards. I actually get annoyed when I get a card from cousins with just their signature. You don’t talk to me all year and you send a card with just your name and that’s it? It just doesn’t make sense. I stopped sending the cards the year we had to put our dog down. It just wasn’t the same getting a picture without him, and it was the perfect time to stop an expensive holiday tradition. I sent Christmas cards with hand written notes and a photo of my kids. I think one person sent me a text thanking us and appreciating the gesture and the photo. Lesson learned. What about making Christmas Decorations? And I don’t mean spending a bunch on craft materials. Use what you have. Make snowflakes from coffee filters or white paper. Make a chain from construction paper, or a garland from popcorn, peanuts or cranberries. Get creative and get the kids involved. Check out pinterest (but don’t get sucked into the crafts that are going to cost money) As for Christmas outfits, if you were in the habit of buying on a size up on clearance after Christmas every year, then the following year you have a nice outfit waiting to be worn for a fraction of the cost of buying a new one. Obviously this wouldn’t be a good tradition to start the year you are struggling, but start it when times are good. Thank you Beth! Thank you sharing your tips! I love your tips to be honest and I think simple crafts to do with the kids to create memories is so wonderful. LOVE this, and BECAUSE of this blog post Ive rethought a lot. I ALWAYS buy new wrapping paper (when i have 8 rolls in the garage) and I always get Christmas party dresses, a new ugly sweater, and new Christmas Eve PJS. The PJS are a tradition, so we may hang on to that one, but the rest? Not neccessary. We do the Christmas Eve PJS!!! We started it when our first son was born. The ugly sweater I have started since I worked retailed and it was either donated to me from friends and family ( I won’t say names haha). Last year I bought a kit and I’m planning on using and redesigning my ugly sweater for this year. The point is that the PJs brings is a tradition for us and your family and my family always enjoy it. For our PJ tradition I just budget the pjs into our Christmas account. Thank you for taking the time to commenting, Mandi! I feel like there could be better alternatives to this blog. There are some traditions that keep the holidays what they are. And those traditions should not be forgotten because of lack of funds. We send out mass family Christmas cards. 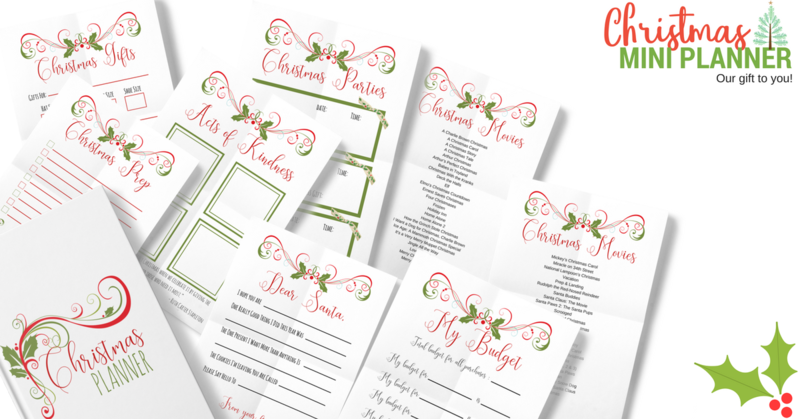 We use plain white computer paper, type up a letter filling everyone in on the happenings of the year, add some clip art to make it festive and print at office depot. It is really cheap and easy. Wrapping paper makes sense. If you have old paper from birthdays or something use that and put the white side out. And paint, color, or write a message to make it festive. We used to make paper snowflakes from scrap paper at the library. Paint them and put them over white paper and it is really cute. Same with decorations. Also goodwill has a ton of Christmas decor. Doesn’t cost much at all, and you can still get excited and festive. Please don’t make your kids miss out on Santa. These are magical years. Find a church or a daycare that has a Santa come in. Use your phone to get the picture if you need one. But let your kid have the magic of Santa for a few more years even if you have a more traditional approach. When my parents were struggling for money they came up with some traditions that my sister and I still want to follow now. Making cinnamon rolls on Christmas morning. We started with the bread dough and rolled it out, brushing the butter, and sprinkling the sugar and cinnamon. It was more about making it as a family then just cracking the tube and eating breakfast. Even if you aren’t religious this season not about what you get to open, it’s about spending time as a family and loved ones. Your kids will remember these years and want to pass the tradition to their kids. Hi Katie! I will assure you that my kids are fine and thriving and I can assure you that if you read my blog you will know that we are blessed and content. I also write tips to help others with ideas on how to save money. I also mention that the road to financial freedom is different from person to person and no one is alike! A little bit of my background – I grew up with Christmas being about Jesus, not Santa. We celebrated with gifts in January 6th. We came to know about Santa as the year passed just like the Easter Bunny. It’s all commercialize and not what it is about to me and my family. I think you misunderstood or read too much into this post to pass judgement and think my kids are deprived because we don’t spent money on certain things. We have traditions, we are a bi-racial family and we get to celebrate all! Christmas is not about money but about family. When I lost my home to a house fire the best Christmas ever was that year when we had barely nothing but we had it all! If you read my responds in the comment section I give more personal information about traditions we have in our home such Christmas PJs, we also have cookie exchanges and we go all out to make sure Santa has cookies and milk. Our home will be full with extended family that sleep over to celebrate Christmas eve and Christmas day with us. The adults have a wonderful time trying to hide gifts from one another. We are also blessed to give more every year thanks to our financial planning. I appreciate your concern and your ideas but please know that Christmas is a happy time for all of in our family. Thank you. You’ve offered some great tips, Joyce. I’m not sure why some people feel like kids need to be lavished with gifts or need to have Santa to have a magical, meaningful Christmas. When I was a kid, my family was very poor. We went into the woods behind our house to get our Christmas tree each year. We received ONE gift from Santa/our parents, and our stockings were filled with fruits, nuts and inexpensive candy. It was such a special holiday even though my parents had to be very frugal. We never, ever took pictures with Santa, though. Also, I create our Christmas cards using Picmonkey’s collage tool. That way, I only have to pay to print a picture rather than printing a “card” at the photo kiosk, and they still give me free envelopes to use for them. I’ve gotten them for around 10-20 cents each most years, so it saves quite a bit of money. We only spend money on postage for those who live far away, though. For everyone we’ll see during the holiday season, we just hand deliver. Thank you Donella for your very helpful tips. When we were growing up it was only 1 gifts for each one of us and we never thought anything of it.I think the best memories we had do not involves toys nor Santa, it involves having such a good time with the family. That’s a really good idea! I wanted to do a “Christmas Card” of sorts since we just had a baby but I really cannot afford fancy professional photos or nice Christmas cards. I think I’m going to hop over to pic monkey and do this now actually. I agree, I am definitely cutting back this year. I have been putting something aside for Christmas, but only have $100.00 saved. The more I think of it the more I think that should be enough. Teresa $100 is better than nothing and good job saving it! Toxic this is a great idea and a great way to turn something old into something new. Thank you for sharing this tip. I love this! Our decorations, um, majority of them don’t match. 🙂 If a decoration has a meaning, for example a dear friend gave it to us am ornament and frame personalized with a special message years ago. That goes up! I never thought about metallic spray paint… hhmmm Thanks! These are super great ideas, all of them! I definitely have been much more frugal this year (we just had a baby 6 months ago and she’s EXPENSIVE) in general, though I never spend too much anyway! I never really thought about what an utter waste wrapping paper is…I started to use other things (tissue paper I had, brown paper bags, etc.) that I had around the house this year and that was better. While professional pictures are nice, I’ve never been a fan of spending my money on that…it’s just WAY out of my budget now when I like the way candid / at home shots look anyway (more natural!). These are great ideas and awesome tips. Hi Joyce, Thank you for this…these are all great ideas. As a military family, funds were tight a few years back. So I spoke with my brother and sister and we decide not to exchange gifts, but to spend time together and maybe exchange a personal ornament. In lieu of store bought gifts, my children and I make homemade goodies, like cookies, Chex mix and Chex mix with white chocolate. It’s very inexpensive and the kiddies look forward to helping in the kitchen. My niece has already called and asked if I was making “white trash” Chex mix with white chocolate. I also reuse my bags and boxes until they fall apart. They’re just going to get torn up anyway. They are stored in a tote with the decorations. I also have been using the same decorations since I started my own home 25 years ago. Our tree is decorated in only memory ornaments. One of our traditions that I have carried from my childhood is, we make an ornament every year. I have purchased some new lights here and there, but I love memories. Our tree has grown over the years and we delight in reminiscing when decorating. The angel on the top is 25 years old. She is from my dad who passed 13 yeas ago. The holidays are what you make of it with friends and family. My children still enjoy gifts, but this year, we bought tickets to a concert and game for our son and daughter. Not only is this a gift, but we are going together and making a memory at the same time. Another tradition is Christmas Eve, they receive Christmas pjs and a Christmas book. However, at 15 & 9yo, finding books for their ages is getting more difficult. So we’re changing it up…this year is pjs and a movie. Just as I did, my children will forget the gifts that were under the tree, but they won’t forget the time spent and memories made with family. May you and your have a blessed Christmas and New Year! I am so happy that you shared this with us. I love it! You nailed it when you said, “The holidays are what you make of it with friends and family.” We do the PJs the night before and just decorate cookies and enjoy anything Christmas. Let me share a fond memory I had when I was a little kid in Puerto Rico in the 80’s. We celebrated 3 Wise Men Day Jan 6th. The night before we will go with our shoe boxes and get the best tall grass for the camels so they will find our home and bring us 1 gift. The gifts weren’t all that but the idea of how happy and competitive we were to find the BEST grass with my parents and cousin was such a great fond memory I will always has.I don’t remember the gift I just remember that because it was so much fun. Merry Christmas to you and your family!! What a fun memory! That shows, that gifts aren’t what makes the event….it’s the memory! I have a specific memory also. It brings tears to my eyes though. I was older, 20 yo. I live on my own in NC going to nursing school. I was planning on going home for Christmas, but my mom said that she decided since us kids were older (I’m the oldest) that she wasn’t putting up a tree. She didn’t think we wanted the hassle. (We probably acted like we didn’t appreciate it) I was selfish and told her, “if there wasn’t a tree, then I was staying at my apartment in NC.” (I had put up my own tree already) Didn’t have much on it, but it was mine! Apparently she told my dad that I wasn’t coming home, so he called me. He said, “baby girl, come home, you and I will go get a tree.” And that’s what we did…we found the fattest Frazier fir I’d ever saw. LOL! On that same outing, he took me to get the cherished angel that is on my tree today. And guess what, the only gift I remember from that year, is the Angel. This is so beautiful and it I teared up reading it. I think we need this to remind us what this is all about. Thank you for sharing this. I really appreciate it. I think we need to hear more honest and beautiful things in the world right now. Our tree full of memories! I love it!! I do!! Your family Christmas tree is full of memories. I love it! This is how I personally feel Christmas should be about it. Thank you for sharing this. I will post ours (we are still working on ornaments) Christmas tree too! Thank you.